The Nick & Jen Show, Spring Concert! Dance Party with Hip Hop Jen! 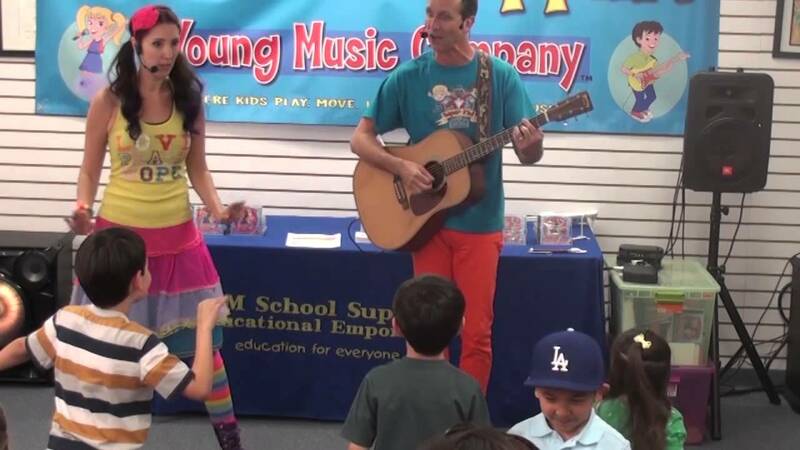 Interactive Kids Music: The Nick & Jen Show at CM School Supply! Nick & Jen's Holiday Show! We use fun costumes at our music parties! Hip Hop Jen's Super Fun Dance Parties! instruments, costumes and a professional sound system! Had the most amazing experience with Nick the Music Man. He was prompt, nice and read the crowd of 1 to 4 year olds nicely. He kept it short and sweet and totally fun. My son, the guest of honor was ALL smiles when everyone sang Happy Bday to him. He knew he was being honored and I loved how my son was just beaming. Would definitely hire this company again. Upbeat, hip, GREAT for kids and parents! Nick and Jen were not only totally professional, but enthusiastic, outgoing, fun, and something new for our kids. It's clear they know how to get everyone in the room feeling engaged. Their show was polished and rehearsed, but also seemed improvised and fun to relate to the kids. My daughter was turning 5, so we thought we would celebrate this milestone with an unforgettable birthday bash, which included live entertainment. We entertained the idea of having a clown (scary), magician, someone to make balloon animals (boring), or perhaps someone to do a musical performance. We came across the Young Music Company during an Internet search, liked what we saw on the website, and contacted them. Nick responded immediately, provided everything we needed to know, and answered any questions we had. When they arrived at our home, they setup quickly and kicked off an unforgettable show for the kids. They performed original songs, and engaged each and every child, at one point giving them all instruments to play along. My daughter’s 5th birthday was a huge success, thanks in part to Nick the Music Man and Jen the Fairy Dancer. They charged us a small additional fee for the drive they made (Long Beach, CA to Simi Valley, CA), but after experiencing the performance, the total cost of their visit was well worth any additional expense. They know how to communicate with children of all ages, and their music makes everyone get up and dance. They are truly talented and remarkable performers! Music Trisha played at my son's 2nd birthday and the kids had a great time singing along! Nick was great!! Energetic and engaging with the kids. It was the perfect way to keep kids of all ages entertained and involved with the party. I would recommend this to all my friends!! I was so pleased with the entertainment that Jen and Nick provided for our two kids. I plan to use them for our next birthday party as well! Young Music Company has performed at 2 of my kids' birthday parties. Both times the kids LOVED it! They brought instruments for the kids to play and their original songs really engaged the kids and encouraged them to dance or sing along. My kids are young (1 and 3) and they both love it, but even their older cousins and friends really get into the show. Young Music Company is great! I would definitely have them perform at my kids' birthday parties again. Best party ever for my kids! We hired the Young Music Company for your son's 4th birthday party, and it was a big success! 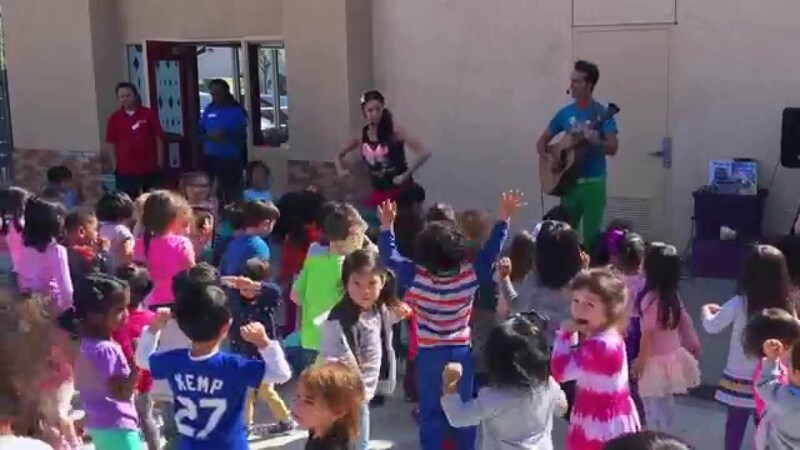 "Nick the Music Man" and "Jen the Fairy Dancer" were a big hit with the kids, and the parents. I would definitely recommend them to my friends. Insurance: $2,000,000 - We carry liability and workman's comp insurance for our music program. Our show is 100% interactive! Children who experience our show will be dancing, singing, jumping like a frog, driving a race car and riding on a train. They will play instruments like shakers, drums, scrapers and triangles. All our musical songs and stories are about participation and movement. We truly love working with children and providing and environment for them to safely explore their creativity and imagination. Nick the Music Man & Jen the Fairy Dancer - We are children's music performers who provide super fun and totally interactive music celebrations for kids parties. Our music is 100% live, never recorded. We bring the guitar, a collection of hand percussion instruments, wireless headset mics, a professional sound system, and fun costumes. We specialize in toddler, preschool, kindergarten and early elementary age children's parties. With our super high energy show we get the children dancing, singing, jumping and pretending. We also pass out shakers, scrapers, triangles, and drums for "instrument time" when the children get to help us play songs and tell musical stories. For large events we can add our back up band - The Amazing Kazoom Band, with live bass and drums. For smaller occasions we perform as a duet with fun and silly dance moves and tight vocal harmonies. Every one who experiences a music party with Nick and Jen is blown away by our incredibly fun and original show. 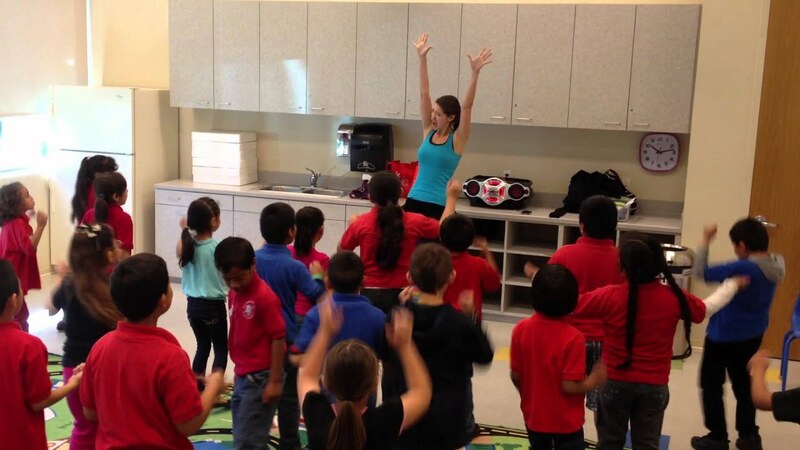 The Young Music Company is a music program for children based in Long Beach California. 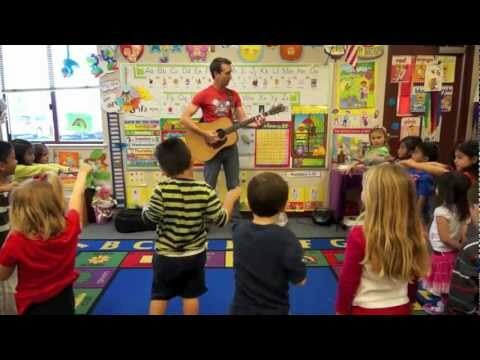 For nearly 20 years we have been bringing the joy of music into preschool classrooms all over Southern California. Our children's music is original, created and tested in thousands of children's music classes. Our approach is to facilitate and environment where children can explore the excitement and creativity of music. We love what we do and it shows! We can perform in almost any environment. In your home or back yard, at the park, at the beach (we bring a portable power pack for the sound system when electricity is not available). We perform at fairs, parties, conferences, festivals and anywhere you can think of. We are very flexible and easy going and can adapt to almost any situation. We love to customize our show to your event's theme! We bring all our own equipment.